Bhubaneswar, 12.10.2017 (OdishaLIVE Bureau): Celebrated Odia singer, composer, lyricist, musician, and writer Akshaya Mohanty is a legend in his own accord. A true visionary artist, who was much ahead of his time was born on 12th October 1936 at Cuttack. Starting his career in Government Services, he quit his job and became an All India Radio approved lyricist in 1956 and an approved composer by 1959. He had a prolific understanding of music and recorded his first song ‘Gori Gori Gori’ as playback singer in 1959 with the Odia movie ‘Maa’. Akshaya Mohanty has given music in more than 75 Odia movies and sung for more than 130 movies. 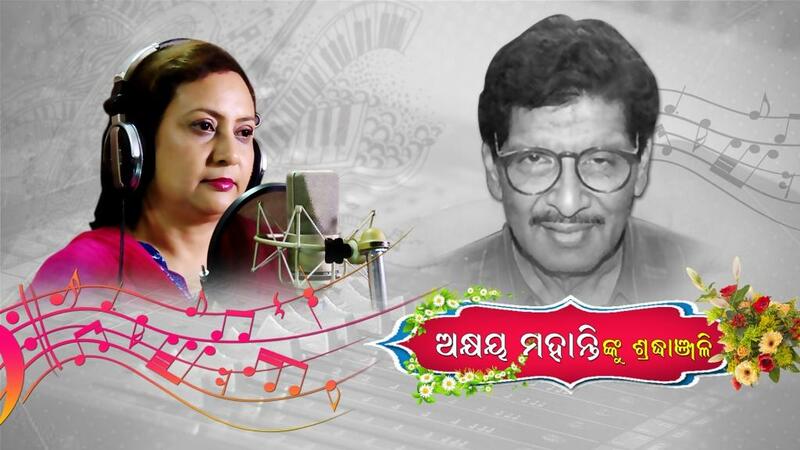 Commemorating his birth anniversary, noted Odia playback singer Namrata Mohanty has come up with a brand new Odia music album. It consists of four tracks originally composed by Akshaya Mohanty, sung in a modern avatar by Namrata. The music arrangement has been done by Nitya Sriranjan. “The songs in the album were composed by Akshaya Mohanty and I have sung these songs before on All India Radio. Since these songs are my favourite since childhood, we have given it a soft feel and recorded newly with a contemporary touch” shares Namrata with OdishaLIVE. “I hope Odia music lovers and particularly Akshaya Mohanty fans all around the world will appreciate the music digitally released on OdishaLIVE network” she adds further. “I have heard these songs years before but now when I heard these songs in Namrata’s voice, they sound even more melodious and appealing” said Akshaya Mohanty’s wife Prabina Mohanty. She felt nostalgic while she was listening to the newly recorded songs by Namrata Mohanty. Akshaya Mohanty has been an all time music great and is noteworthy for his contribution to Odia culture. OdishaLIVE takes pride in paying tribute to the great soul on his birth anniversary. “I sincerely thank Namrata Mohanty, one of the finest singers of our time, for the four songs she is presenting through our channel to remember the great music guru” said OdishaLIVE CEO and Editor-In-Chief Nilambar Rath, on the global digital release of the album. Exclusive Interview with Bijoy Mohapatra, Leader of the Bharatiya Janta Party. Who has just resigned from legislator post and BJP today. Mahanadi bus tragedy: 10 died and more than 50 injured. The bus was coming from Talcher to Bhubaneswar.